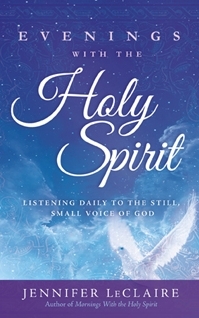 Inspiring daily devotionals – prophetic words from the Holy Spirit – to strengthen, comfort, and counsel you. Many people are crying out to Jesus, but few are regularly fellowshipping with the Holy Spirit. Yet the Holy Spirit dwells in our spirits. We are his temple (1 Cor. 6:19), and he is our comforter, counselor, helper, intercessor, advocate, strengthener, and standby (John 14:26, AMP). The Holy Spirit leads and guides us into all truth – including the truth about our beautiful savior (John 16:13). And the Holy Spirit is speaking to us more than we know. 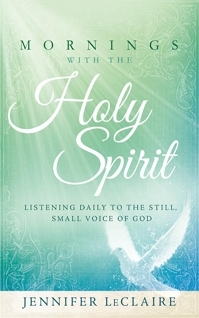 Mornings With the Holy Spirit is a daily devotional written as if the Holy Spirit is speaking directly to you. 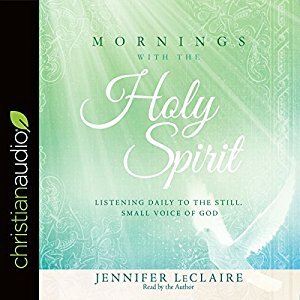 Through her personal journaling during times of worship, prayer, and just everyday living, Jennifer LeClaire has recorded the words that the Holy Sprit has given her, and she shares them with you in this book. 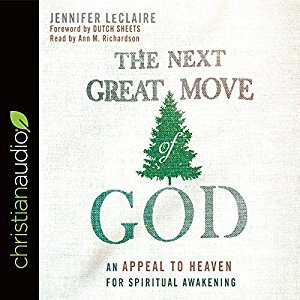 Each entry will include a brief message from the Holy Spirit, a relevant Scripture reference or references, and a prayer starter.